The Best Clarinet Blogs from thousands of Clarinet blogs in our index using search and social metrics. We’ve carefully selected these websites because they are actively working to educate, inspire, and empower their readers with frequent updates and high-quality information. Also check out Top Clarinet Youtube Channels list for Top videos on Clarinet. Hurst, Texas About Blog Dr. Michael Dean performs as clarinet recitalist and master clinician across the USA and internationally. His clarinet blog features video and audio of his teaching and performing as well as information on his CD’s and other publications. Facebook fans 25. Twitter followers 405. About Blog Jenny Clarinet is an international soloist, chamber and orchestral musician, and pedagogue. Follow this blog to find educational articles for clarinetists and musicians of all ages. Facebook fans 1,694. Twitter followers 94. About Blog International Clarinet Association is a community of clarinetists and enthusiasts who support the clarinet around the world. Follow this blog to find opportunities for the exchange of ideas, materials, and information among its members; foster the composition, publication, recording, and distribution of music for the clarinet; which encourages and promotes the performance and teaching of a wide variety of repertoires for the clarinet. Facebook fans 8,709. Twitter followers 619. About Blog The mission of this blog is to help every clarinet player know the clarinet in a way that there are no boundaries to the interpretation of music. Follow this blog to keep up-to-date with Clarinet-Now postings and news. Facebook fans 461. Twitter followers 1,295. Calgary, Alberta About Blog Clarineat is the blog and podcast for all things new and neat for clarinet. Here you’ll join host Sean Perrin as he discusses “all that’s new and neat with clarinet, with the neatest people in the industry” with esteemed artists and product manufacturers. Facebook fans 2,978. Twitter followers 619. San Francisco, CA About Blog A place for all the Clarinet players/music lovers out there! Also find audio or video recordings, clarinet related events, performances and more. Facebook fans 1,188,075. Twitter followers 550,780. Burnaby, BC, Canada About Blog Backun Musical Services designs and manufactures the world's most sought-after clarinets and revolutionized the clarinet world with our barrels. Follow this blog to find product updates, artist news and tech tips. Facebook fans 16,330. Twitter followers 1,538. Facebook fans 195. Twitter followers 131. Atlanta, GA About Blog This blog features clarinet instructional videos, Buffet informational videos and clarinet performances. Here you can learn about clarinet trials and RMS overhauls. Facebook fans 1,274. Twitter followers 20. Vancouver BC About Blog Acclaimed Canadian clarinetist and composer François Houle's blog. Find live performances, experimental electroacoustic, and commercial soundtrack work by Houle. This blog features, full on audio and video experience, as well as an e-store where you'll be able to purchase his music, scores, etc. Facebook fans n/a. Twitter followers 674. Natchitoches, LA About Blog Meghan Taylor is a clarinetist, educator, and event coordinator based in Natchitoches, Louisiana. Her goal for this blog is to share something weekly that interests her. These topics will vary from music to event planning, the clarinet, writing, photography, career development, and many more fascinating topics. Facebook fans n/a. Twitter followers 143. Croatia About Blog This blog is dedicated to live performances and music videos of the clarinetist Mihael Paar. Facebook fans 5,564. Twitter followers 838. About Blog The official blog of clarintetist Richard Stoltzman. Here you will find information about his concert, digital recordings, audio and videos which include CDs, songbooks and more. Facebook fans 1,889. Twitter followers 98. About Blog The E-flat Clarinet Project is a collection of resources for perfomers and educators. Follow this blog to find information on repertoire, upcoming performances, education opportunities, teaching resources, equipments and media resources including featured videos and a discography. Facebook fans 344. Twitter followers 25. About Blog Welcome to the Official blog of prize-winning Australian Clarinetist Georgina Oakes. Keep up with teaching materials, new compositions, performers, instruments, and more on the blog! Edinburgh About Blog Jean Johnson is a clarinetist, Performer and Educator. This blog is a place to check her upcoming performances and recordings, news from musical projects and more. Facebook fans 271. Twitter followers 309. About Blog Chastine Hofmeister is currently the Second Clarinetist of the Longview Symphony Orchestra and the Monroe Symphony Orchestra. Follow this blog to get insights on clarinet choir covers, mini lessons, interviews, and more. Charlottesville, VA About Blog Blog by Shawn Earle Clarinetist, Performer, Researcher, Educator. Here you will find information about lessons, collaborations, performances and more. Chesterland About Blog This blog is authored by Deanna, clarinetist. Here she shares her videos and impressions on her journey to Washington, D.C. Follow this blog to enjoy random mumblings about all things clarinet-related. About Blog A blog for those who love the alto clarinet and those who would like to learn more about this instrument. 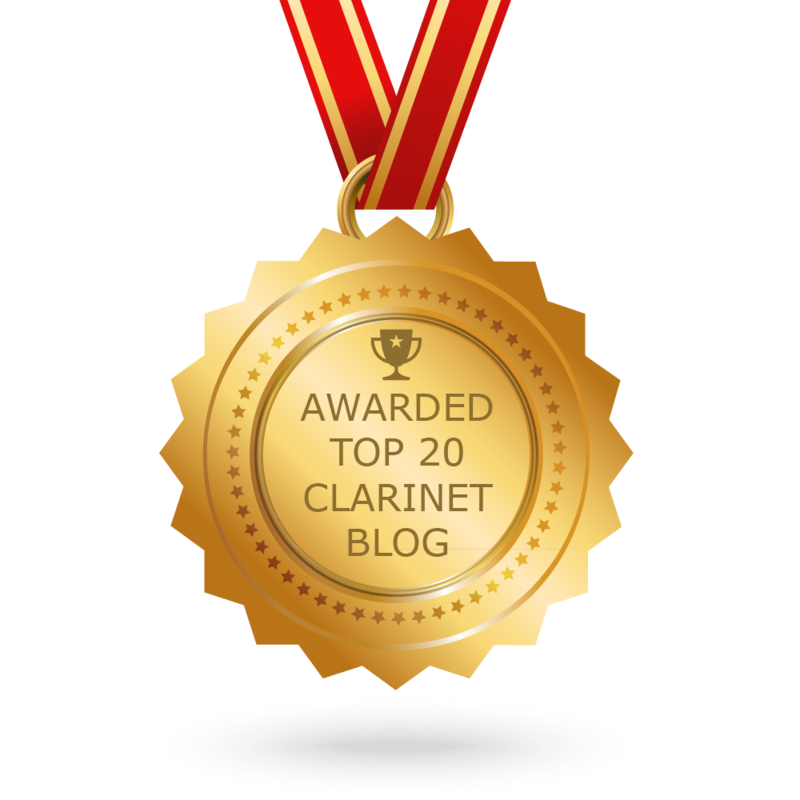 CONGRATULATIONS to every blogger that has made this Top Clarinet Blogs list! This is the most comprehensive list of best Clarinet blogs on the internet and I’m honoured to have you as part of this! I personally give you a high-five and want to thank you for your contribution to this world.